NZCCA is proud to announce the 2018 -19 Annual Buckle Sponsors! Please support our sponsors whenever you can! 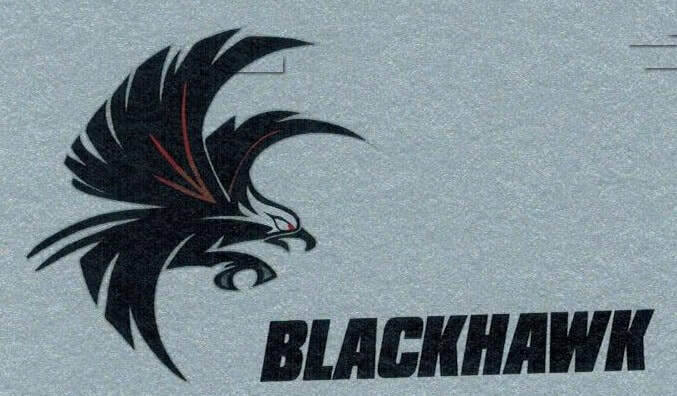 NZCCA are proud to announce Blackhawk Saddlery are our sponsors for the 2018-19 Intermediate Hi point buckle. They are based in Oamaru but sell through their Facebook/Website page and or give them a call 03-434 6238 . Please show your support for these new Sponsors. At Blackhawk Saddlery we cater primarily to the Western, stockman and trekking equestrian people. Stocking Wade, Barrel and half breed saddles along with western bridles and breastplates. We also make our own western and stock saddle pads as well as swags . A visit to our shop and you will see our new range of Ariat boots and all the other extras for horse and rider. We also manufacture and design truck and trailer covers, shade sails , Awnings for caravans and boat covers as well as an upholstery service for all repairs and recovering of furniture. For a decade Dynavyte has been keeping horses healthy and happy. Dynavyte was formulated in 2007 by a team of veterinarians and microbiologists with a brief to strengthen and improve the delicate gut function of the horse. Today it is no longer a secret that Dynavyte is a must have tool for horse owners aiming to keep their animals in optimum condition. Based in Loburn, servicing the whole of Christchurch, North & South Canterbury, Addstyle Driveways and Paving Limited was formed in 2003 by director Mike Hickling. Mike and his team have extensive experience in the industry. Mike has gained further experience by having worked all over the world on concrete surface finishes and structures. Addstyle Driveways and Paving Limited are specialists in all aspects of decorative concrete, including re-surfacing existing surfaces, and concrete cutting. We lay various finishes of concrete including but not limited to: coloured, exposed, stamped; and plain concrete and pavers. Mike and the Team at Addstyle Driveways can work with your architectural plan, or help design your driveway, patio or path to create your dream. “JLT Bloodstock are proud to sponsor the New Zealand Cowboy Challenge Association. If you aren’t insured with us already get a quote today via our website www.horseinsurance.co.nz. We offer a wide range of options to cover you for vet bills, loss of use and death"